On January 24th, at the NAMM show in Anaheim, California, Jason MacNamara spoke with guitarist/singer/songwriter, John Sykes. Portions of the interview appear below (as transcribed by blabbermouth.net). The interview also appears in its entirety, at the bottom of the story. Bassist Tony Franklin recently discussed Blue Murder, and his current work, with Sykes, read his interview here. A John Sykes imposter? The guy is great but hardly a household name. Very strange. 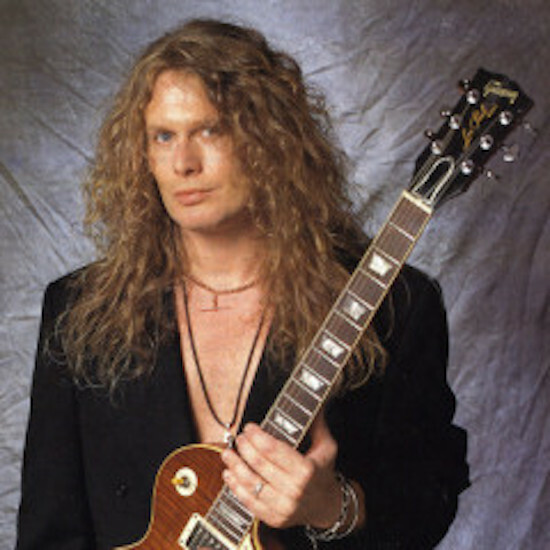 If you’re out there fake John Sykes, try Paul McCartney or Eric Clapton and leave this guy alone. Imagine if the imposter is Tommy Thayer? I can’t wait to see who is going to be impersonating Vinny Vincent next week. Ace Frehley? Kirstie Alley? Ned Beatty? Hilary Clinton? Blackie Lawless? Bea Arthur(RIP)? I guess that is the point, since John is not a household name, which is travesty, btw, this guy figured, who would question its authenticity? If the individual is very famous, one is more likely to suspect that the social media account could be fugazi. Neither can the rest of the world, Charles! Sounds like Sykes is really serious this time, here’s to hoping, we’ll see. If for some reason this album doesn’t come out this year, it might start a “Riot!” 😉 Cheers!! You just know this band will be smoking live. It sounds like he’s really gunna finally get out there. I’m sure he’ll speak with Eddie at some point during the tour. I would really like to see this band, and It will be interesting to hear his version of the Whitesnake songs he’ll be doing. Thanks for posting that. This album is turning out to take as long as chinese democracy did to come out ,lol. I hope he keeps his new date and does a tour that takes him to or around San Francisco. Definitely one of my favorite guitarists/ singer .